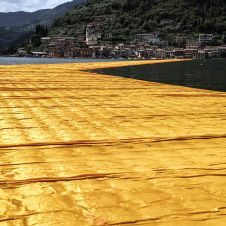 Christo was born in 1935 in Gabrovo, Bulgaria. 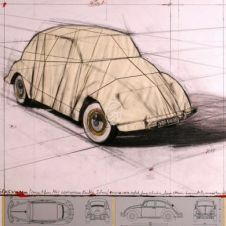 He became famous after joining the "Nouveau Réalisme". 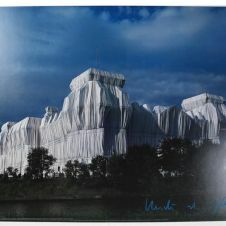 Never an official member of the group, he instead created wrapping actions including of well-known structures with hies wife Jeanne-Claude. 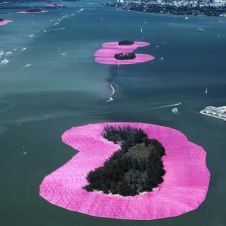 Since 1980, the Christos planned the complex project „Surrounded Islands“ based on an idea of Jeanne-Claude: 11 Islands off Miami Beach were to be surrounded by floating, pink polypropylene fabric. 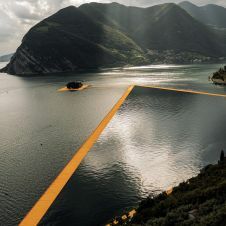 For this, 603.850 sqm polypropylene were required, which were then by anchors. 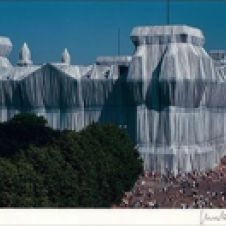 The art work was accomplished with the aid of 500 assitants on May 7th in 1983, and could be admired for two weeks. 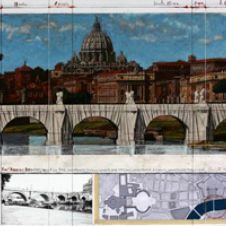 The work consists of two individual works, that are intended to be hung one below the other.